Founded in 2002 by local musician/retailer, Mark Morse. 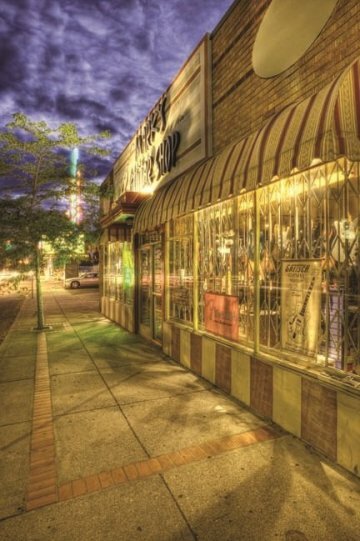 Mark's Guitar Shop still thrives today in Mark's vision. A service oriented "Pro Shop" located in the Historic Garland District. With Nate, Bob & Darren's combined 40+ years of retailing experience, customers are provided with a No-Pressure sales approach. All set-ups and most repairs tended to in-house by Bob or Nate; usually within a day. We are also a drop off point for amplifier and electronic equipment repairs. Please contact us for a custom quote for your specific repair, setup or modification.